There is a wonderful sense of satisfaction once you have completed a DIY home improvement project and this is something that can be enjoyed by experts and amateurs. 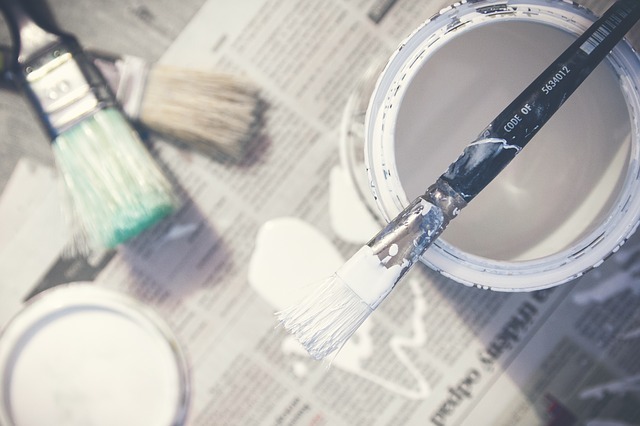 A DIY project can be very cost effective, helping you improve your home on a modest budget. Regular improvements increase the value of your home and you will be more satisfied with your living environment. Your project could involve a sizable renovation or simply involve perking up a single room in your house, depending on your skill level and the patience you have for completing the work. It is often a good idea to start with smaller projects to build your confidence. Here are six tips for DIY projects that amateurs can complete. Small objects that come fitted to furniture can have a big influence on the aesthetics of a room. Handles, pulls and knobs supplied with furniture are often not very hardwearing – nor very interesting. If it looks as if your drawers and doors are from a bygone era, it could be a good time to freshen them up by simply changing the knobs and handles. You can source designs that are more modern and use simple DIY techniques to attach them for an instant, fresher look. For an even cheaper improvement, apply pretty fabric swatches to tired handles and knobs. Standard fittings supplied in new homes are corporate and boring. Similarly, the fittings the previous owners installed 30 years ago are functional – but dated. Luckily, light fittings are one of the easiest things to change in a home. Take basic electrical precautions and you can change the light fitting in a room within an hour, instantly changing the feel. It is also increasingly trendy to make use of fancy light bulbs, skipping the lamp shade or cover entirely in exchange for a bulb with a fancy, geometric filament. Shutters add a dressed-up flair to rooms and have been used for centuries. They are more hygienic than fabric alternatives and are very easy to install. Standard size shutters are readily available and require little more than the drilling of a few holes to install – you can follow window shutters installation guides if you are at all uncertain about how to install this DIY home improvement. Readymade shutters can be painted to match the existing decorations, or you could opt to custom-order fancy shutters to exactly match what you’re looking for. 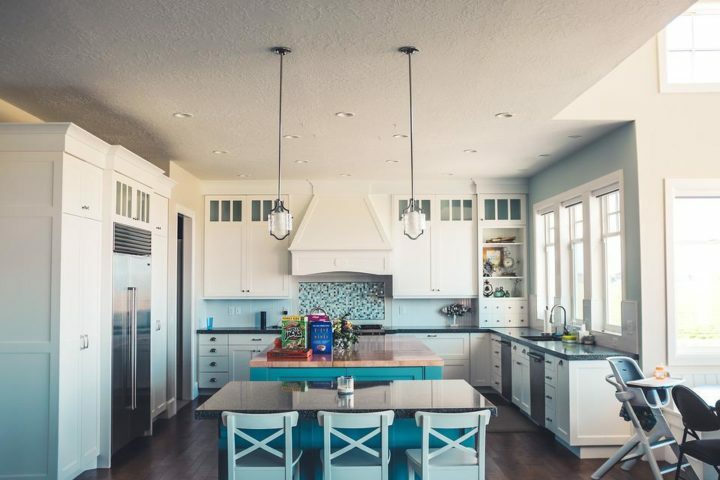 This project is more complicated and time intensive than the others, however, many homeowners have acquired what is close to a brand-new kitchen by merely changing the doors on the kitchen cabinets. Most often, it is the fronts of cabinets that date and wear the quickest, cabinet carcasses and shelves have a much longer life. You can choose from ready-made cabinet doors or have some manufactured for you. Depending on the size of your kitchen, you could achieve a major upgrade after just a weekend of fitting – without going to the enormous cost of installing a brand-new kitchen. It won’t take you long to brush up on painting skills and an afternoon is all that is required to completely change the feel of a room. A bucket of quality paint and a few accessories later and you will be surprised how you have lived with a boring, white or beige room for so long. Trimmings along the floor and ceiling of a room are frequently used by designers to add a classy touch, and prefabricated sets of trim can easily be installed with a hammer and some nails – adding a touch of luxury to an ordinary room. Nobody likes a messy cupboard, but that is the inevitable effect of the march of time on our attempts to keep tidy. Yet you can stop the mess in its tracks by making some changes to the way your cupboards are configured. A wire shelving system can divide large, empty spaces into useable and orderly containers that make keeping your clothes and accessories tidy very easy. Sometimes people regard the three letters, DIY, with dread, fearing that tackling home improvements will involve arduous work week after week, only to see budgets overrun – and unsatisfactory results. This is not at all the case: by tackling small projects to start with you can make small, incremental improvements to your home. 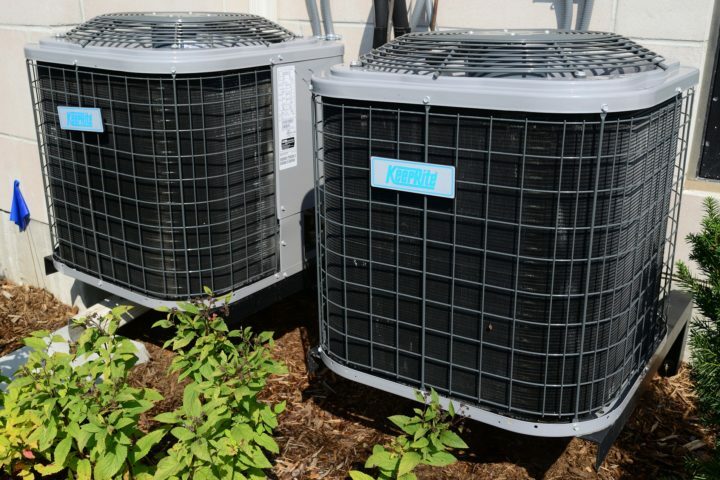 These will enhance your quality of life and boost the resale value of your property.